Around 30 million Americans suffer from this long-term disorder of the pancreas. Dr. Rimma Gelbert of Brooklyn, New York, is experienced in the diagnosis, treatment, and long-term management of diabetes in adults. Ongoing management of diabetes is essential for avoiding serious complications, so call or book your appointment at Rimma Gelbert Medical PC today. Diabetes is a disorder of the endocrine system, which is the body system responsible for the metabolism of blood sugar — also known as blood glucose — in the body. Glucose is the fuel of the body and requires insulin — produced in the pancreas — to be managed properly. When either the production or management of glucose in the body does not work correctly, there can be serious complications, including heart disease, stroke, infection, poor wound healing, and even death. Management of this disease depends on which type of diabetes you have. In type 1 diabetes, the body does not produce insulin. In type 2 diabetes, the body doesn’t effectively use the insulin it produces. Dr. Gelbert can confirm a diagnosis of diabetes if your urine shows ketones -- a sign of insufficient insulin -- and your blood work shows elevated blood sugar. What does the management of diabetes look like? If you have diabetes, Dr. Gelbert first dedicates herself to teaching you everything you need to know about the management of this lifelong condition at home. You’re instructed in blood sugar monitoring, proper diet, medication, insulin management, and how to check for wounds and infections. Dr. Gelbert is always available for questions or follow-up related to your diabetes. Excellent long-term management of diabetes is crucial. 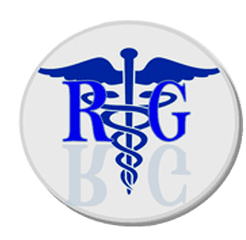 As a patient under the care of Dr. Rimma Gelbert, you receive the best care possible for the short- and long-term management of your type 1 or type 2 diabetes. To discuss your plan of care for your diabetes with Dr. Gelbert, call or book an appointment online today.